Har du allerede en Audio Valve Eclipse forforsterker, vil jo Challenger 115 passe perfekt. Om du ikke har en slik, kan jo den nye Audio Valve Eclipse på bildet her, med 3 balanserte innganger, kanskje være noe å tenke på. Audio Valve Challenger 115, kr 85.000,- for to monoblokker. Er du lei av å holde på med forsterkere som er vanskelig å matche med forskjellige høyttalere? Med Audio Valve Challenger 115 er du nesten dømt til å lykkes. Skikkelig rør-lyd, men samtidig en åpen, transparent lyd og en kontroll i bassområdet som mange andre rørforsterkere ikke makter. Jeg har vært norsk importør for Audio Valve siden år 2004. Already since 1984 AudioValve produces the amplifier series with the name CHALLENGER. This is also the proven PP concept, with the difference that the entire circuit is fully symmetrical, that is, it handles the negative and positive signal phase. If the end tubes are selected accordingly, e.g. from a 115-watt power amp with EL34, the Challenger 150 model, if you’re equipped with 6550, or a pair of Challenger 180 – when you equip with KT120. The quiescent currents are found by the amplifier with the help of Autobias (ABR). The magazine HIFI-VISION has already chosen this device series in a test in May 1992 for “absolute top class”. These series also have our so-called automatic BIAS regulators, which precisely set the quiescent current of each individual end tube. You will be alerted to spent tubes via LED’s and can exchange them easily without having to resort to selected tubes. 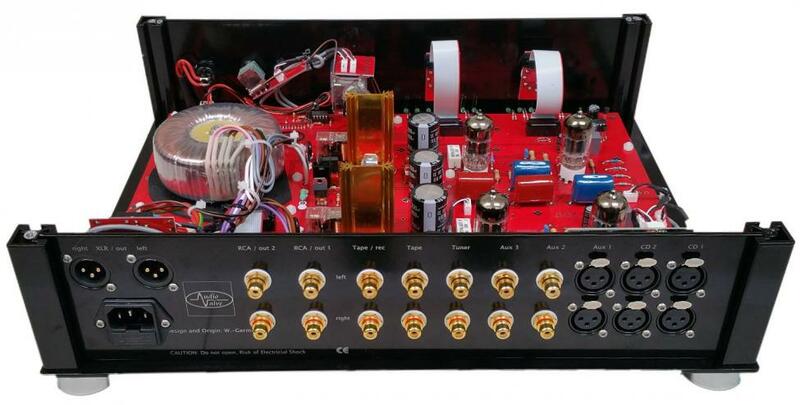 So do not let costly tubes sell for your AudioValve amp because our amplifiers do not need selected ones to sound. The tiresome topic about the right choice of the end tubes is thus over forever. The use of these devices is primarily dynamic speakers, but also in interaction with electrostatic speakers prove the Challenger their absolute class. With an additional stand-by switch on the front left of the device, the anode voltage can be switched off in longer pauses without completely switching off the device. The tubes remain safely warmed and can immediately max. reproduce musical qualities after switching on in the “Operate Mode”. But the Challenger’s are already fully operational after 10 minutes of commissioning anyway. Back to the Challenger – on a total of 6 tailpipes per channel, the performance is distributed. No tailpipe is expected too much. Even if one weakens, you will hardly notice. A big advantage, if you think about what services other concepts force the tubes to achieve the same performance only with 2 tubes – that goes on the life – no question. 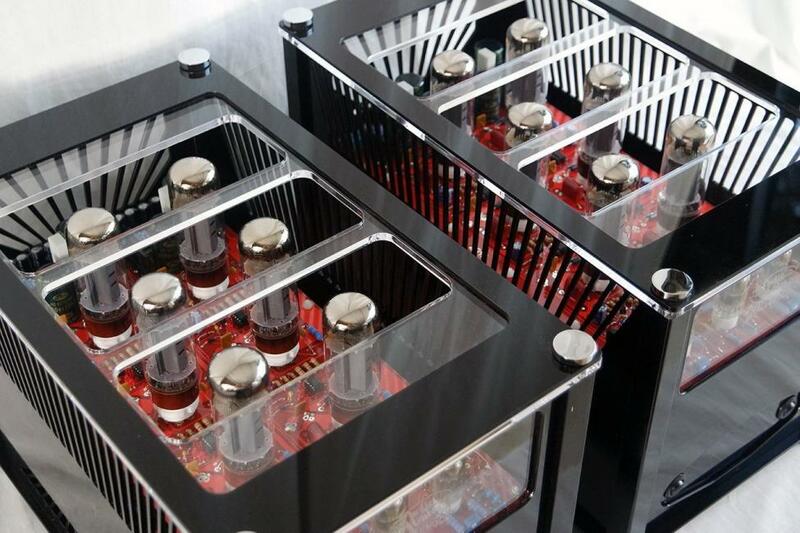 In general, push – pull amplifiers with only two tubes with caution to enjoy. Especially with two tubes in conventional technique, the sound lives from the quality and the symmetry of the tubes – and as these become increasingly aging you will soon experience the changes of the sound – unfortunately. Unless you purchased a screwdriver with your device and subject your device to constant bias adjustment. Even such devices are still currently being produced from the USA or China. Where is the meaning, or maybe you can not do it better ?? We have had our Biasregulator now since 1991 and offer him in the meantime as a module for third-party products, so that their owners do not have to invest all their belongings in tubes. Perhaps this essay sounds a bit provocative to you, but so far has been explained by the coverage of the “trade press” of this concern for our devices little exhaustive, I think the press understands the technology behind it and can therefore explain the effect also not. So – whenever you enjoy a range of cheap KT 120s, hit them – you’ll enjoy using them in Challenger. We also do not dispute that the quality of the tubes today has decreased compared to 30 years ago – it certainly causes many devices of the competition biggest problems, but when used in the right circuit environment – as in AudioValve – prepare the tubes today more Enjoy it ever. All you have to do is choose the right concept, and for that you can do that, not a technical introduction to tubes, so that you can make an assessment. The input stage of the Challenger is realized with a so – called parallel – symmetric – cross – coupled preliminary stage after Zechendorff. It allows effortless processing of XLR and RCA input signals. The Challenger has a huge two-sided PCB with all components and are soldered by hand. This assures best contact points at the solder joints, as the tin goes up through each pad, thus providing an excellent bond. The solder rises in the hole of the soldering eyelet and thus soldered each component from above and below. Good and short cables to the underground in the amplifier located transformers ensure the best electrical connections, so even with the Challenger even a 10 Khz rectangle still looks like the original. Without overshoots or flanks – just as it should be. 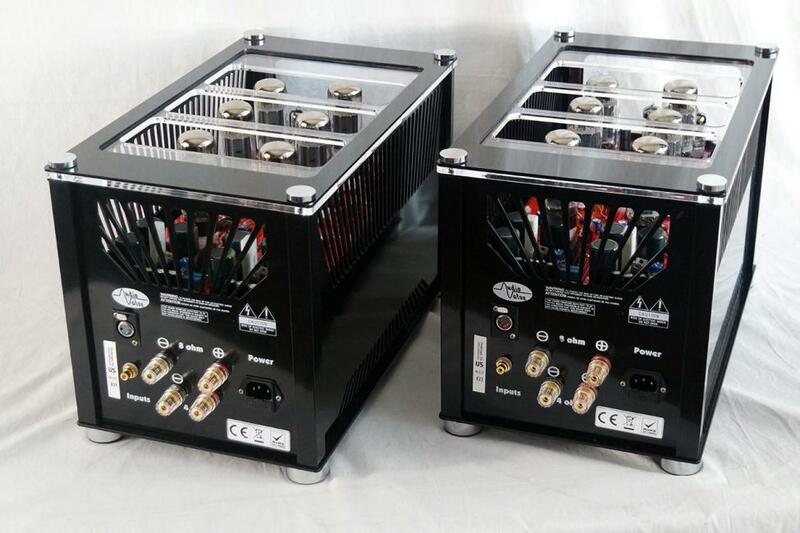 Another special feature of these amplifiers are the power supplies. PP requires an anode power supply, but that’s not all, we still need the screen grid voltages for the left and right banks (PTC overcurrent protected), three heating circuits, neg. Grid voltage, reference voltages for the ABR`S, plus / minus power supplies for the OP` s, an anodes driving voltage, and all these voltages are partly floating associated with the respective banks of the right and left rows of tubes of a printed circuit board – so you get only once an idea of ​​the state of development of our devices are. Musically, preference should be given to equipping with EL34 in the Challengers. These deliver nearly 130 watts and shine with a special midrange and treble range. If you prefer more bass, you may be better off with the KT 120. The bias is set via four-digit DIP switches located on the printed circuit board. With their help, the reference quiescent current for automatic adjustment in all tubes is used. The Challenger series have experienced various cosmetic updates over the past 30 years. From the concept, however, nothing has changed until now – why should it? We do not have to undergo a constant new model policy to remain interesting, we stand by what we do – 1984 to 2014 – numer 30 years. Again and again I hear, “one does not know you Mr. Becker …”. That’s not quite true. We deny 95% of our sales abroad and that, because we know and appreciate us. But also in Germany there are attentive hi – fi – friends who have not been influenced for a long time by “test winners” of the press, or “forums – prophets”, but consistently and above all with expertise to form their own opinion. And these listeners always find contact with us too. What I am most pleased about is the fact that they are individualists, both at work and in private life – just like me – in the search for the best result. People with self-determined characters and special charisms. No one is like the other, everyone is special and yet – or that’s why – we come together for the love of music. To know them all makes me proud – and they are not a few – thank you for your trust. The Challenger produce a perfect low harmonic distortion sprectrum ! These below-mentioned 3 illustrations clarify in a perfect way the excellent impulse acting of the CHALLENGER. The pictures show the replay of a rectangle at 20 – 1.000 and 10.000 Hertz. You will notice that, even at 10 Khz, no overshoots or other “tube-typical” phenomenons are appearing. The impulse replay is faultless and comparable to the rise rate of a transistor. Picture 3 shows a 1kHz sinus at the beginning of power limitation of the amplifier, which counters with a soft “Softclipping”. The effort is now at circa 170 Watt in the mounting of the power amplifier with 6*6550. 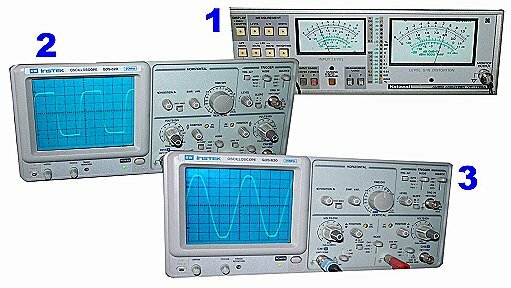 All schemas are based on an ampliifer final charge of 8 Ohm. So we are not talking about the frequency range but about the power amplifiers real power bandwith – this must not be confounded, since the requirements by DIN are much higher at the power bandwith. The mono blocks of AudioValve have in the power supply so-called “main voltage phase finder”. On the main power socket inside a printed circuit board is soldered, which fulfills different tasks. On the one hand, an NTC reduces the max. inrush current as current limiter, if you turn on the amplifier, this is bridged as soon as all the required voltages are reached in the amplifier and on the other hand, there is a circuit on the pcb, which helps to locate the mains life phase. If the amplifier is switched on, the green LED on this pcb. should light up, then the phase is correctly fed. If the LED does not light up, turn the power plug and check the situation again. If the phase is fed in correctly, it also gives the best musical result. Siste redigert av moto; 24.02.2019 kl. 08:56. Tidssone er GMT +2. Klokken er nå 22:45.